Television is one of the most collaborative mediums in which to tell a story. Books can be one person’s vision for where characters are going or what they’re doing, but in television, there is a room full of writers who bounce ideas off of each other, network executives and producers get involved, and even the actors can contribute ideas for their characters and their arcs. A TV show is no singular person’s vision – it’s a collective effort by a large group of people. A lot of ideas get changed from the moment they are conceived to the moment they air on TV. There are table reads and rewrites and network notes. It’s possible that no show went through more changes from its original story plans than The Vampire Diaries. It was based on a series of novels by L.J. Smith, and it was constantly being adapted and changed to deal with actors coming and going. Plus, the producers had millions of fans across the world to appease, so the stakes were high. 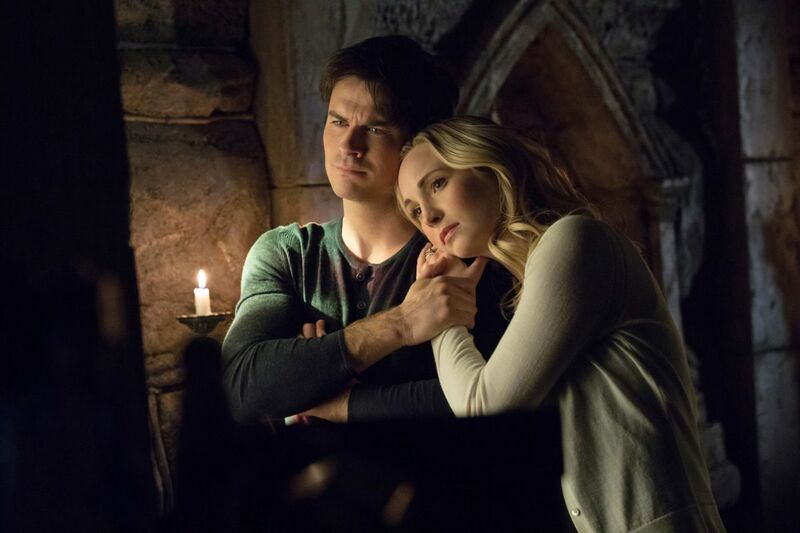 Some of the changes that the writers made to their initial story plans over the course of The Vampire Diaries’ eight-season run were great for the show and ended up improving it, but other changes ended up being the wrong decision for the series. It was impossible for showrunners Kevin Williamson and Julie Plec to know this at the time – it can only come with hindsight. Here are 10 Last-Minute Changes That Hurt The Vampire Diaries (And 10 That Saved It). 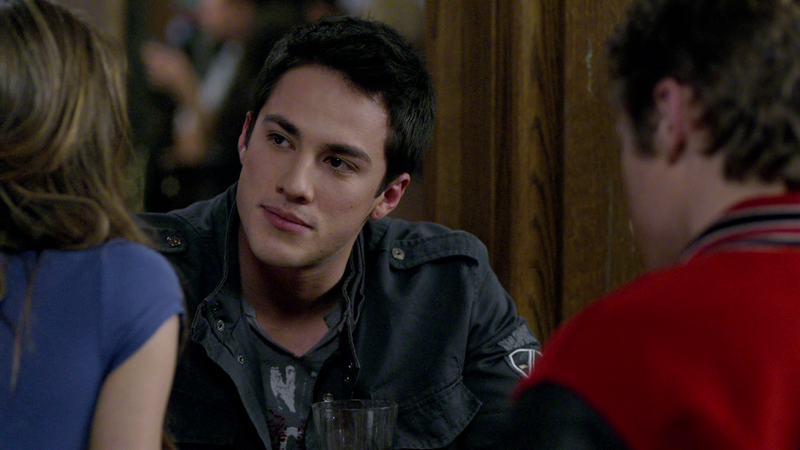 In the earliest stages of development, Tyler Lockwood, played by Michael Trevino, was only supposed to be a supporting character and not a part of the main cast. He wasn’t even going to stick around for long. However, the creators decided to make him one of the main characters. It goes without saying that, although he has a few redeeming qualities, he was one of the most divisive characters on the show. While some fans did love Tyler, he did not add anything to the show for quite some time, besides being a snarky and mean character. If he had not been in the show at all until his werewolf storyline, it would not have made much of a difference. When the writers were first putting together the pilot episode for a TV series based on L.J. Smith’s The Vampire Diaries series of novels, they considered changing the name of the Salvatore brothers to the Whitmore brothers. While Whitmore is closer to a small town Virginia name than Salvatore might be, it just doesn’t sound like a vampire name. Beyond the sound of it, changing the names of the brothers would have likely made a lot of book fans mad. Although some changes are for the better, changing the main characters’ names takes away the nostalgia away from book viewers. Throughout the first three seasons of The Vampire Diaries, Niklaus, plays by Joseph Morgan, was the big bad wolf. He was strong, powerful, and filled with evil tendencies. In the fourth season, his role as a villain was really intensifying, but it was also becoming a little tired and drawn-out. 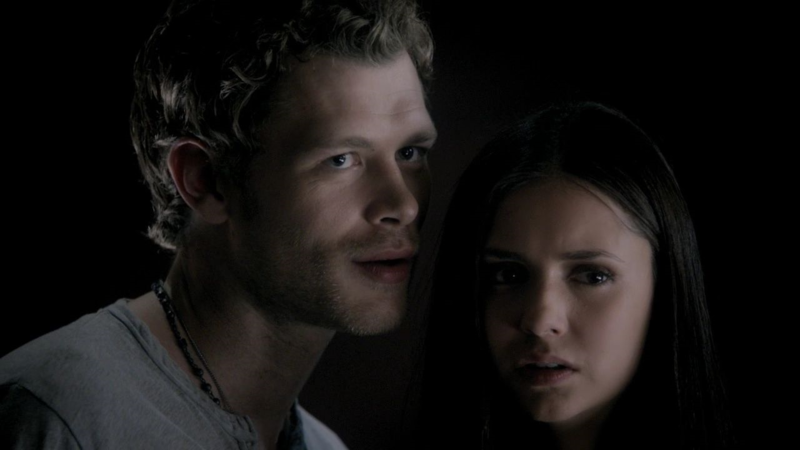 The creators felt he had been “played out” as a villain on The Vampire Diaries and conceived a story arc in which Klaus would better himself in light of Hayley’s hybrid pregnancy. That was how The Originals came about. Had The Originals not been green-lit, that was the storyline the writers were going to use to take Klaus in a new direction for The Vampire Diaries’ fifth season. 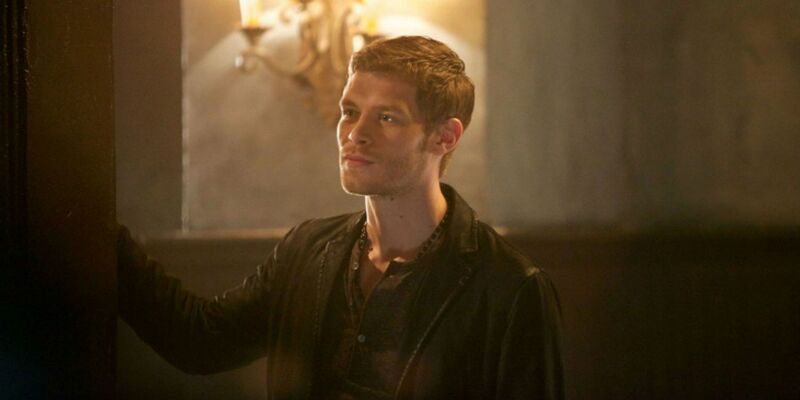 While the spin-off put him in center stage, it would’ve been interesting to see Klaus grow as a character on The Vampire Diaries. Over the course of The Vampire Diaries, in both the book series and the TV show, Elena Gilbert, played by Nina Dobrev, perishes a grand total of two times. In the books, her first exit during her time as a vampire comes from a lame and undramatic exposure to sunlight, and for her second, she drowns and comes back as a vampire. The TV series instead skipped right to the drowning, and so Elena became a vampire after her first passing. This was a smart decision by the creative forces behind the show, because it meant that the show could dive right into her vampire arc. Until Caroline, played by Candice King, came along in the TV show and joined Elena’s clique, she had one sole best friend in Bonnie, played by Kat Graham. In the novels, Elena’s friendship group is a trio made up of herself, Bonnie, and someone named Meredith, who didn’t make it to the series. She was actually featured in the original pilot script, but she eventually got written out, as the creators felt there would just be too many characters to write about. 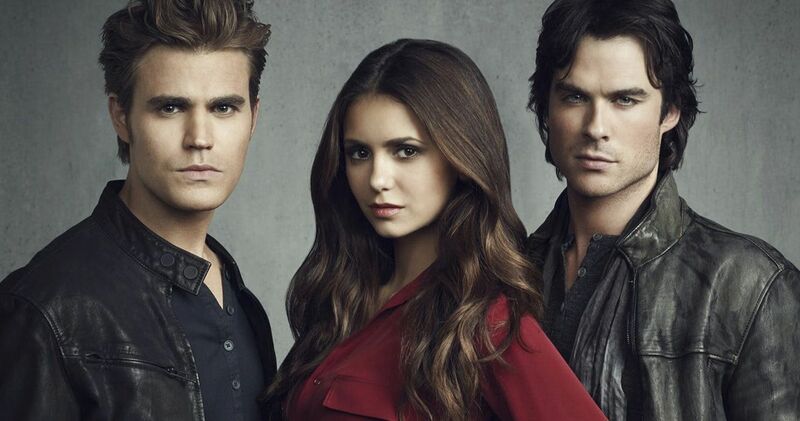 However, while that may have seemed to be the case during the writing process of the pilot, after a few seasons, The Vampire Diaries was not as overstuffed with story possibilities as it initially seemed. By the seventh season, the show was frustratingly meandering with its aimless, dragged-out plotting, so having another character around for storylines might not have been so bad. The original hook of The Vampire Diaries that got viewers invested was that the Salvatore brothers both fell for the same girl. With this in mind, although the writers could see that Damon, played by Ian Somerhalder, and Elena were being drawn to one another, they tried to keep them apart for as long as they could. The writers threw obstacles at them and tried to push Elena towards Stefan, played by Paul Wesley, but they eventually decided not to fight it and let them become an item sooner than they’d planned. It was good that the writers let the plot develop organically instead of forcing anything – plus, we really wanted to see “Delena” finally get together! The show’s creators began to divert from the more supernatural elements of the literary source material when the books’ stories got into, as showrunners Kevin Williamson and Julie Plec put it, “angels and foxes and mystical creatures and hell dimensions.” When it came to those subjects, they decided to hold back and just keep vampires, werewolves, and hybrids in the mix. As far as Williamson and Plec were concerned, that was supernatural enough. Cutting all of those creatures and storylines was a measure taken to make the show feel more grounded and more character-focused. However, considering how the show got dragged on towards the end of its run, perhaps it would have been better to include all these supernatural elements to make the show more interesting. It is hard to picture The Vampire Diaries being set anywhere other than Mystic Falls, especially now that it has become such an iconic setting. Interestingly, it almost wasn’t called that. The Vampire Diaries book series is not set in Mystic Falls, but instead is named Fell’s Church. 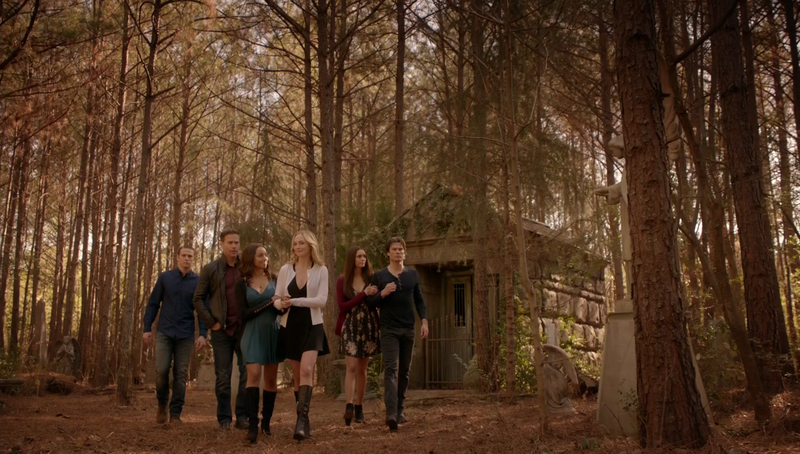 The show’s creators changed the name of the town from Fell’s Church to Mystic Falls, because they felt that Fell’s Church sounded too religious, which brought up themes and connotations that they were trying to avoid. Mystic Falls is more memorable and supernatural-sounding than Fell’s Church, and it better suits the tone that the show was going for. In the end, it all worked out. Vicki, played by Kayla Ewell, is taken out in “Haunted”, the seventh episode of the entire show, when Stefan drives a stake through her heart. That’s episode seven out of 171, and yet, she managed to keep making appearances in the show until literally the end of the series, in its eighth season. Each time Vicki came back following her passing, whether it was as a ghost, or as a figment of someone’s imagination, or in a flashback, was worse than the last. It always felt forced and it always seemed as though each reappearance would be her last and then, lo and behold, she would turn up again. It got to the point where even the slightest hint that she might be showing up in an episode would cause eyes to roll. Elena was only a vampire for one of the books, but remained a vampire for three seasons of the TV show, which was an interesting development for her character that the writers explored in more depth than the books did. This is a show about two vampire brothers who fall for the same girl, so that girl becoming a vampire is a huge deal for the story. It opens the character dynamic up to all new possibilities, which the writers chose to pursue. While the novels sort of brushed over it and didn’t get too in-depth with the reality of Elena becoming a vampire, it was a smart move by the TV series’ writing team to flesh out Elena’s stint as a vampire for a longer story arc. When Nina Dobrev decided to leave The Vampire Diaries after its sixth season, the writers were not done telling Elena’s story. Following her departure, the showrunners had a choice to either cut the series short or, like The Office and Two and a Half Men, keep making the show without its star. It was a show about a love triangle where two brothers were in love with the same woman, and without the woman, it’s not the same show. Yet the producers kept it going for another two seasons, sans Dobrev. They brought her back at the end to tie up all the loose ends, but by then, The Vampire Diaries was a hollow shell of its former self. 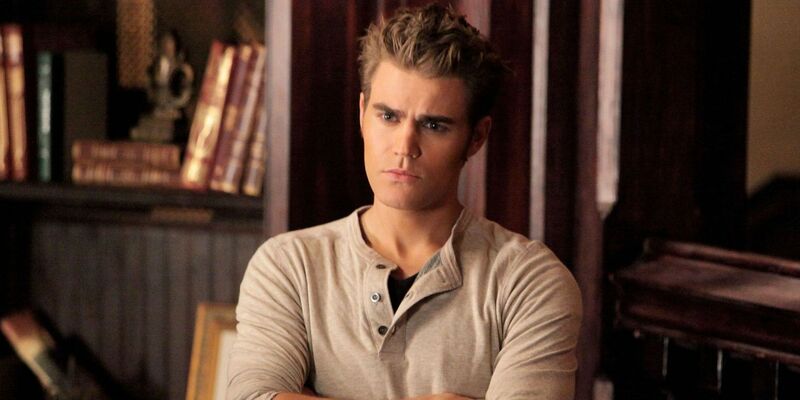 On the show, Stefan doesn’t drink human blood out of principle, which not only makes him a more likable character but it allows the non-vampire audience to picture him as more human, making him easier to identify with. However, the Stefan of the book series drinks from Elena in a very intimate way, which might have ended up looking very weird on the show. Damon and Klaus, who drink from humans regularly, are pretty brutal in the way they pick off humans and take what they want from them. Especially Klaus, who often ends human lives in the most awful way possible, and often just does that to prove a point. In the show, the relationship between vampires and humans is portrayed as dangerous rather than intimate, which makes the story more believable. 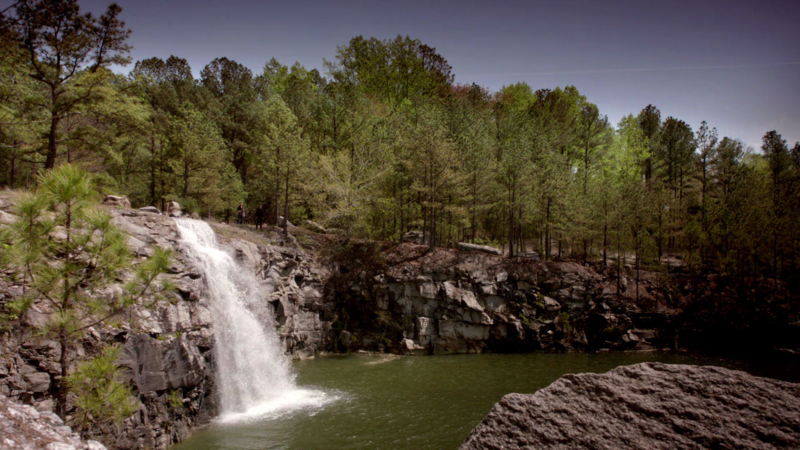 Despite the fact that The Vampire Diaries is set in a town called Mystic Falls, we never get to see the town’s actual waterfall apart from one brief moment in the pilot episode. Over the course of eight seasons, we got a very clear idea of what it was like in Mystic Falls, particularly its foggy streets at dusk, which are extremely dangerous. Apart from its short appearance in the first episode, we never got to see the actual waterfall that the town is named after. It would have been amazing to see a romantic moment or battle scene at the waterfall, but we never got the chance. Sadly, we never got to see those moments, because the showrunners wrote the actual waterfall out of the show after it was featured in the one scene. The books never explained why Elena and Katherine looked so alike; it was just a weird coincidence. However, the TV show took that little tidbit and ran with it. 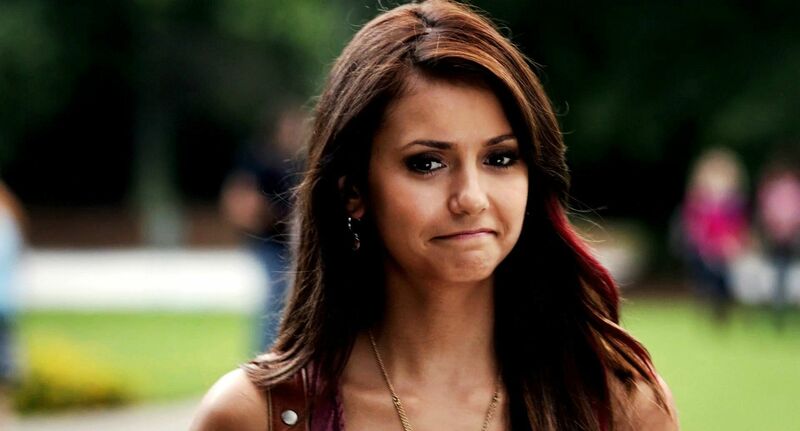 The show’s writers decided that Katherine was actually Elena’s ancestor and then took it from there. Exactly why the writers of the TV series decided to clear up the Katherine mystery is uncertain. It might have just been to keep Katherine around, since Nina Dobrev has said that she enjoyed playing Katherine more than playing Elena. Or it could just be because the show had to carve out every detail that the books did not explore, in order to keep the show exciting. Either way, fans were glad for it. There are very few male Vampire Diaries characters that Caroline didn’t date at some point. She was dating Tyler at the beginning of the series and had a little on-and-off fling with Niklaus. She also dated Alaric Saltzman, played by Matthew Davis, and Matt Donovan, played by Zach Roerig, before she ended up marrying Stefan at the end of the series. 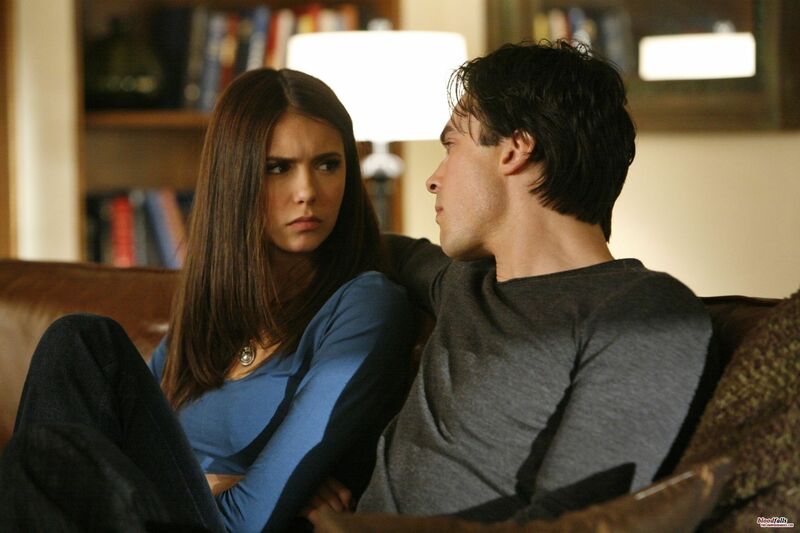 However, it was her relationship with Damon that became a particular point of controversy for fans. He was manipulative and controlling, and it was seriously off-putting with the fans. After that, he went on to become one of the show’s most heroic characters, but fans did not forget what he did to Caroline. Like many series finales, the final episode of The Vampire Diaries, “I Was Feeling Epic”, pleased some fans and disappointed others. One thing everyone can agree on is that Stefan’s final sacrifice was perhaps the most heartbreaking moment of the entire series, and that “Delena” finally getting forever together was bittersweet. However, Ian Somerhalder didn’t want his character to go out like that. 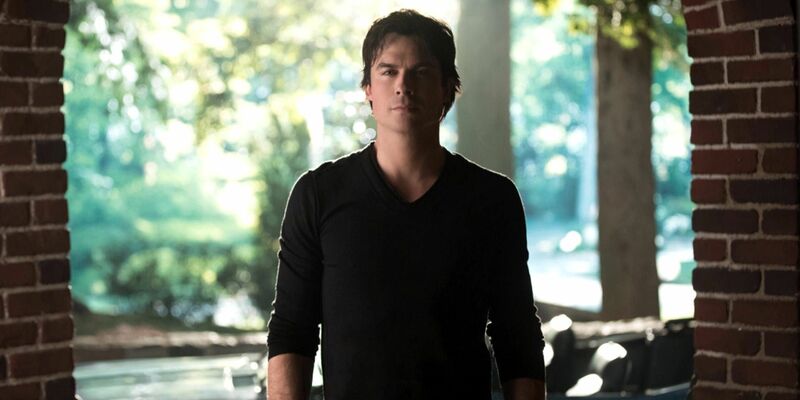 He didn’t want Damon to have a happy ending, because he didn’t think he deserved to live happily ever after with Elena. He actually wanted Damon to instead pass away on a beach somewhere, totally unceremoniously. While this might be what Damon truly deserved, it would have made the series too tragic to take both Salvatore brothers away from Elena. 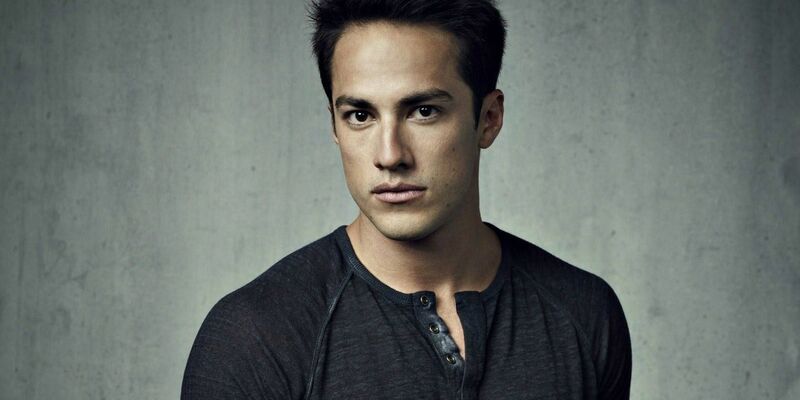 Tyler Lockwood is a character we love to hate. That’s his whole characterization, and it divided fans. However, in the books, his name isn’t Tyler Lockwood – it’s Tyler Smallwood. The connotations of the name Smallwood suggest that maybe all of Tyler’s toxic masculine aggression was simply him trying to make up for something. It’s a sly and funny jab at the series’ least likable character. The TV showrunners might have changed the name Smallwood to Lockwood in order to stop Tyler from being laughable, but that might have been Smith’s point in the first place. There’s nothing ironic or funny about the name Lockwood, and that is a shame. When a major or beloved character passes on a TV show, they need to go out with a bang. They can’t just perish from an infection or fall asleep and never wake up; everyone goes out in the most extravagant way possible. It has to be surprising and memorable. The writers of The Vampire Diaries TV show made the right decision in changing one of the ways that Elena passed away. They kept the iconic drowning scene from the books to transition her to her new vampire life. However, they changed her other passing to make it something more exciting. Instead of being exposed to sunlight, she was taken out by Klaus, who always had a knack for committing serious crimes. Most of the characters from the book series that were adapted for the TV series remained more or less the same. 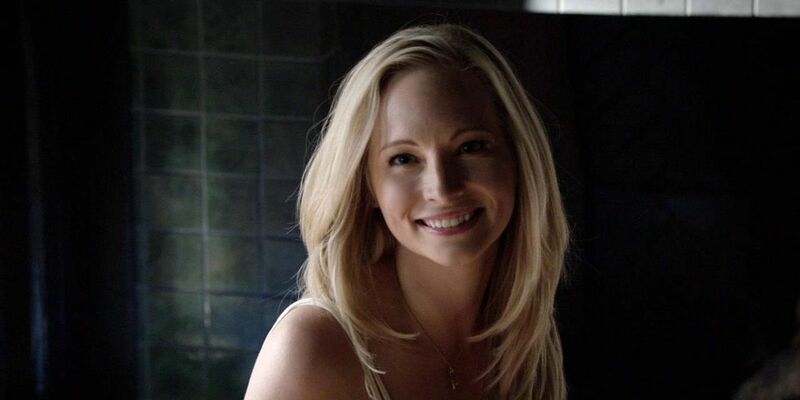 One of the biggest points of contention for fans of the books was that the TV producers cast a dark-haired actress to play Elena, who is clearly described to be blonde in the books. That’s nothing compared to the liberties the TV showrunners took with Elena’s sibling. In the books, Elena has a four-year-old sister named Margaret, but in the show, she has a teenage brother named Jeremy. Everything about Elena’s sibling was made different. Elena burned down the family house when she couldn’t cope with Jeremy’s passing – imagine what she would’ve done if she had a four-year-old sister who perishe, and how much more tragic it would’ve been! 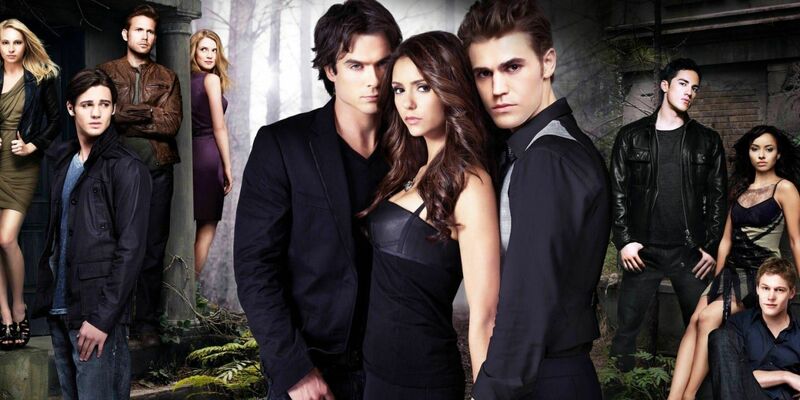 Kevin Williamson and Julie Plec conceived a series finale for The Vampire Diaries way back when they were making the second season of the show, long before Nina Dobrev left the series. Back then, they originally planned to have both Stefan and Damon sacrifice themselves for Elena. However, as the final product shows, it’s a far more powerful ending with just one sacrifice. 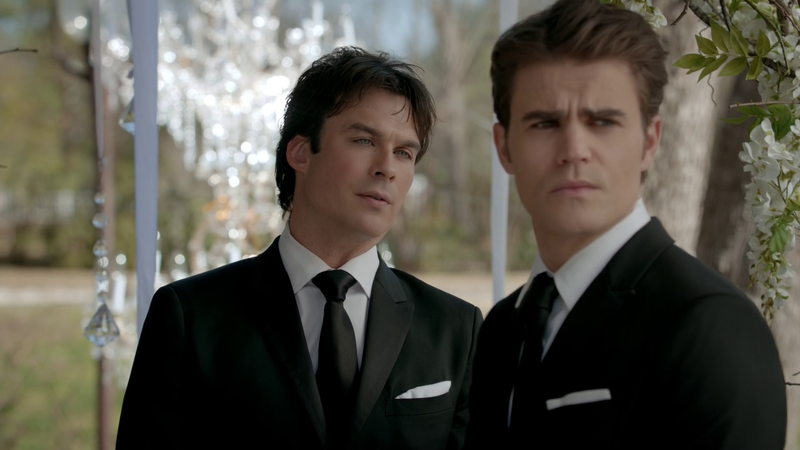 It also made sense that Stefan would be the only one to go, as he has always been the more self-sacrificing of the two. He has always been the first to offer his services, and so it made complete sense that he would want to spare his brother from this burden. What last-minute change did you like or dislike in The Vampire Diaries? Let us know in the comments!